Statistically, I shouldn’t be a socialist. After all, some would say I grew up with a silver spoon in my mouth – exclusive schooling, servants, mixing with the children of CEOs, the 1% and all that. But there was a time, in my late 40s, after a lifetime of struggle and confusion, that I began to view the world in a different light. By that time, I had lived on three continents, in many countries, had mixed with the aristocracy (once, even went to movies with a princess), spoken to the down and out, and seen life from topside down and bottom side up (in other words - from a state of extreme poverty). And the picture slowly began to penetrate that while life was sweet at the top, the reason most people were at the bottom had more to do with circumstance than with effort. We’ve all asked that question at one point or another in our lives. We’ve also been told that life isn’t fair, and it’s been more or less implied that because it isn’t fair, that is the right and just thing and we just have to live with it. I want to look at that question a bit more deeply, though. Life comprises many factors. It’s the tsunami we didn’t anticipate which wiped out our home and some of our family members and many friends. It’s the job which went the way of the dodo when newer technology wiped it out and we were fifty, ailing, and old. It’s the lover who left us because s/he grew bored and it’s the accident that put us in the wheelchair for life. It’s the lucky chance at the casino tables that bought us a house when we thought we would never be able to afford one and it’s the life-saving food that someone donated to us when we were facing starvation. Life is a lucky dip and, sometimes, a momentous glorious sip, depending on who we are, where we are, what we are, when we are, and how we are. It is only modern technology, the high numbers of the population, and the learned skills of many millennia, which have enabled us to live relatively self-interested lives. Does it work? It depends how you look at it. If the vast numbers of human misery, the unending poverty for half the world’s people, the depression and ill-health, etc. are of no consequence to you because you are okay, then you could well believe it works. You might even convince yourself that you have been solely responsible for your ‘achievements,’ and by deduction, therefore, the reason others are not in a position of well-being is entirely of their own making. Denmark, Finland, Netherlands (socialist countries) have the happiest people in the world. USA does not enter the top ten. Socialism is not an absence of democracy. So what is socialism? Let me give you a few examples of socialism. We could either have stay-at-home mothers, each of whom is responsible for teaching the children, each having to buy all the books necessary, and each spending six or seven hours a day teaching their kids. Or we could get together as a community, agree to pay a small fraction of our income to a central fund (tax), then spend the money building a school and hiring teachers. In terms of manpower and saving man hours, this is a tremendous move forwards. The time of all those mothers is now freed up and they can get on with other tasks/ambitions. All the children get (hopefully) an excellent education as the teachers have specifically trained to teach them what they need to know. Yet another example of socialism is looking at mutual needs – the need for fast and effective transport would mean roads, rail, and a good public transport service for those who couldn’t afford cars or didn’t want them. In that case, the community would get together, pay a fraction of their earnings to a central authority (tax), and this money would be used to build roads, bridges, public transport, etc. This makes life very much easier for everyone as individuals don’t have to step outside their front doors and start building a road. Consider communication. It’s vital for everyone to be able to communicate with each other. In more tribal times, it was a matter of walking outside your hut; today it means picking up the phone or sending an email. Seventy five years ago, governments build the infrastructure for today’s phone lines. Communication was cheap because the government built the infrastructure as it was a capital expense paid for out of taxes (contributions by the people) and the running costs were paid for by the people. So having a phone was cheap because no profit was added in and capital expenses didn’t have to be built in. The system worked. Socialism has also always taken the ills of society into consideration. Tsunamis do come. Illness and accidents do play a part. Everybody’s genetic inheritance doesn’t provide the same ability. And the state of one’s parent’s wealth shouldn’t be responsible for a superior or inferior education. So, to my mind, because life isn’t fair, it doesn’t meant that human beings shouldn’t build a more equitable or more fair system. 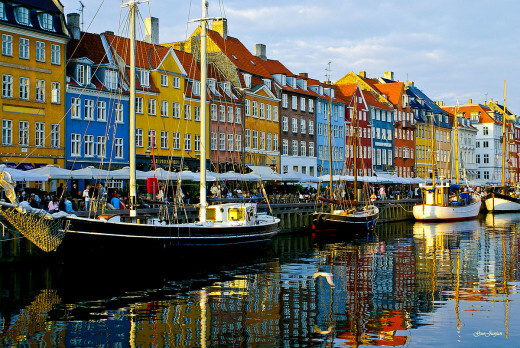 Copenhagen, Denmark, where people are happy, well off, have five weeks holiday/vacation per year, and are socialist. It’s no accident that the greater the number of people in a country, the more poor he masses are, and the greater they are in numbers. That’s because, in representative democracies, power is vested in the hands of a few. So while, once upon a time, 535 members of congress (USA) might have represented 50 million people fairly, they no longer represent 320 million people fairly. And while 650 people in the House of Commons may once have fairly represented 20 million people, they no longer fairly represent 65 million people. Worse, with the increase in the number of people they individual represent, corruption has arrived. Representatives are far from their local communities and work at a central office which could be ten thousand or one hundred miles away from the people who elected them. So we-the-people cannot check up on what they are doing, and it’s a matter of out-of-sight means out-of-mind. Did you know that the richest countries in the world (per capita) are all very small countries? There’s a reason. Oh, and they’re all socialist. Socialism works because people are helped in their troubles to make better lives. The world was in a good place in the 60s. It was in a good place because most people were supported by a high degree of socialism. Education was cheaper (often free) and jobs paid better (result of Union activity.) But then the ‘superior’ lot began to say that their profits weren’t good. It wasn’t that profits weren’t good, it was that the people who wanted to make profits wanted much more than they were getting. Here’s the irony. The Unions became out of control. They wanted more than they were getting as well. They saw what their bosses were earning and they saw no reason not to earn that much either. Well, almost as much. They could see that their boss was earning 40 times what they were earning, so they saw no reason to earn double what they were earning. You see, human beings have an innate sense of fairness, and when too many people become too unfair over too long a period of time, society begins to disintegrate. That’s what is happening now. Human beings always used to help each other; the fact that they are now competing with each other is not helpful. Nor is it a recipe for success in the medium to long term. The Scandinavian countries are highly successful and have the most educated people in the world, plus they have one of the highest per capita wealth rates in the world. They are socialist. Many countries who use social policies succeed very well. The issue isn’t with socialist countries. The issue is with countries that are highly focused on capitalism where each human being is left to struggle for themselves and where the rewards only go to the few who manage to navigate through the perils - with the help of luck, genes, good parenting or mentoring, and crime. Taxes are mostly abused and misspent. Living in a society or community where there are not large differences in status as societies of haves and have-nots become more and more unstable as the gap between rich and poor grow. An educated citizenry that understands its role in the community and is ever watchful for corruption and the abuse of power. An adequate, fair, and polite police force. Laws that make sense, protect the citizenry and are fair for everyone. A small, highly trained emergency force which substitutes as a core military if and when it is ever needed. This force would be used for disasters – earthquakes, floods, invasion, etc. Free education for everyone. K12 education includes two years training for any job skill which would enable the scholar to work immediately after leaving school. Only the top 10% would be accepted into university to learn a working skill. If the student wanted to go to university for reasons of edification, they would pay their own way. Energy (electricity, gas, green, etc) where only running costs are paid for by the citizenry. Capital expenses are for the State. Bridges, roads, rail, airports, etc. (infrastructure) is always paid for by tax. Communication – fiber optic cabling, phones, wifi, etc. are necessary services these days. They are not luxury. Capital expenses to be paid by the State. Running costs to be paid by the citizenry. No profit to be made on this by private companies. 10. Medical services are free. This includes drug and/or alcohol rehabilitation, preventative medicine, education and information for patients, plus any tests required. While doctors can be in private practice, the State should always provide a free service to its citizens. After all, if citizens aren’t healthy, how can they produce? 11. Research at universities that will benefit the public good and which will not be for-profit. 12. Various government departments that ensure various laws are being kept. 13. A free legal advice bureau for citizens that cannot afford private representation. 14. Contributions to other countries ONLY when no money is owing anywhere else and when there is a large amount over. 15. Public services like libraries, postal services, swimming pools, gyms, etc. Defining socialism. Both America and the USSR changed the meaning of the word. One of the really interesting things about small, successful countries is that they have no extensive military operation. Nor do they have spies. And they’re doing very, very well. Seen any invasions into Chile, Monaco, or Finland lately? No, I didn’t think so. So here’s what should not be routinely paid for by tax. Luxury cars, planes, trains, yachts. Anything that is related to the glory of the country, rather than the well being of the people. Big displays and celebrations which cost millions. They are unnecessary. One doesn’t have to ‘remember’ every anniversary of some deed that was done. Nobody needs monuments. The purchasing of land and buildings when many are unused. All unused buildings should first be sold before new ones are purchased. 10. No grants to business. If the business needs grants, it doesn’t have sufficient customers to warrant it as a business. However it wasn’t quite that simple. The business world had to convince people that the product was, indeed valuable. So advertising, public relations, spin, and commercial propaganda increased at an alarming rate. Most people are subjected to an advertisement every ten minutes in America – either on radio or TV. Even if they are reading a book or a magazine, or surfing the web, advertising is plentiful. Again, the bottom line is that if products were truly wanted, they wouldn’t need to be advertised. While some would say that advertising is a public service that informs people of what is available, this is not quite true. Advertising is the information repeated so many times that people believe it, whether it is true or not, and whether it is desired or not. A more responsible system of advising people of available products could just be put on the web and people could read what it is and purchase it. It is the constant repetition that is synonymous with brainwashing. Charged more than the product was worth and a lot more than it cost to produce. Convinced people through commercial propaganda to buy it. Underpaid staff to such an extent that the bottom half of humanity became very poor and the top .0001% eventually owned more than half of the world’s wealth. So that’s how the rich got rich. I don’t find it particularly admirable. In fact, I find those methods somewhat unethical, and, therefore, I have no problem with redistributing what they earned through a high tax rate for them. In other words, it's much the same system as the Robber Barons used to get so rich at the end of the 19th century and the beginning of the 20th century. A speech that tells you just how hard you worked to get where you are! 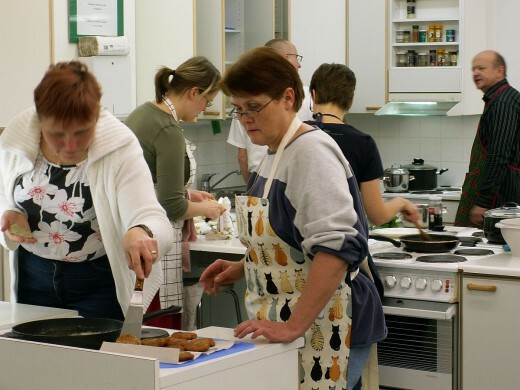 Finland; Kids get the best education in the world, and it's all free! Have you ever lived and worked in a socialist country in Europe? Socialism is not about making everybody equal or about taking away people’s freedom to chose or voice an opinion. Socialism is about creating an economic system that works for everybody and is true to the innate human requirement for fairness. Capitalism has failed hopelessly. The more intense the practice of capitalism, the greater the divide between rich and poor, and the more distressed people are. While the success of a handful might be a boast of the success of capitalism, it is an idle boast, because humanity does not consist of a few million individuals. It consists of 7.5 billion people, and if the relative well being of all of them is not being catered to by an economic system, then that system is not successful. Any system which only caters to the DNA gifted and the offspring of the rich who could educate them well is not a system for the people. 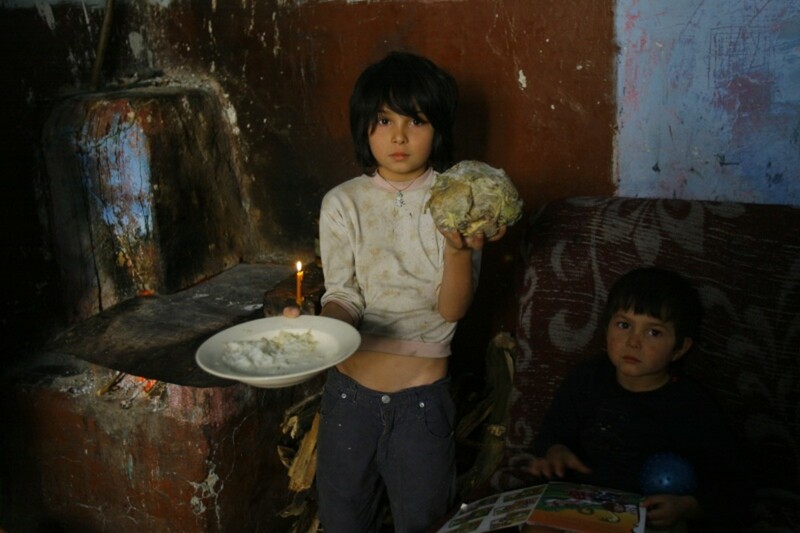 What is Poverty Life Like in Third World Countries? 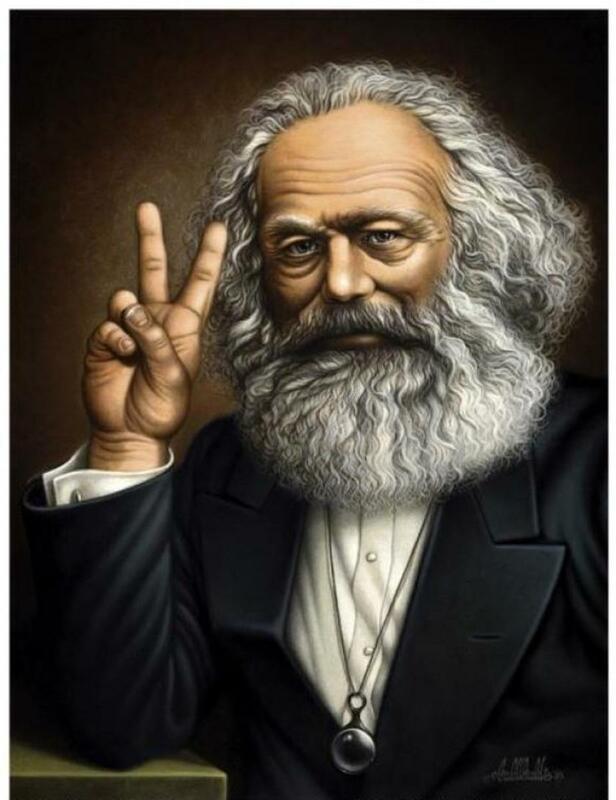 I think there are nothing wrong for being a capitalist, socialist, or communist, ideology can/ should be changed when it does not fit the sociality. I think it is all about people, how the powerful people use the terminology shape how people view the ideology. Thanks for explaining how you developed your critical views over the course of your life. I am quite impressed how many voices are being heard lately in the US with a clearly Marxist sound to them, calling for more social democracy and a much broader participation of people in the economic processes of the work place to bring an end to the manipulative and inhuman aspects of capitalism as practiced in the US. @ Angela - Please tell us , why do you keep supporting capitalism?